I love that necklace!! So cute!! I think it will be perfect with a Little Black Dress, Like Audrey Hepburn!! Thank you for my pink/green pick me up! It arrived just before I had to deal with me family (who all bailed on my LIVESTRONG challenge at the last second and had me crying) at a family friends' wedding. So thank you! Gorgeous. 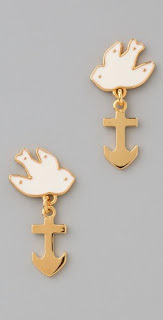 Really love the earrings. 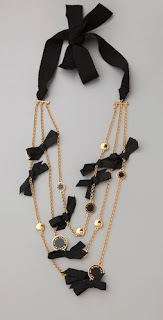 I love the necklace with little black bows! That is too cute! I love that necklace, its a must have. Love the necklace. It's amazing.